Private & semi-private sessions are available 6 days a week with our Kinesiologists and Pilates Instructors. 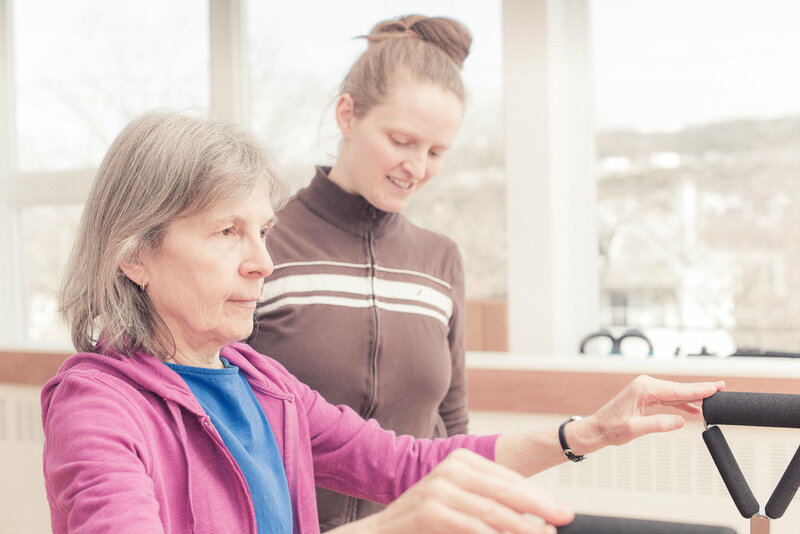 Our staff are highly trained to recognize and identify imbalances, postural deviations, compromised and compensational function and movement patterns, and then be able to help clients move towards correcting them. Whether a client is looking for an elevation in high performance ability or is experiencing chronic pain or a reduction in free and assured movement, private sessions are an excellent way to start the appropriate program for that individual. These sessions are recommended when a client feels like for any number of reasons that they need more focused, detailed and specific one on one attention.